From out of the north they come, relics of centuries past but deadlier than anything that has ever sailed the seas. For even in the enlightened year of 1197, when true Vikings are just a bloody rumor of the past, there are still knorrs filled with true sons of Odin and Thor, waiting for a chance to loot, pillage and slaughter. 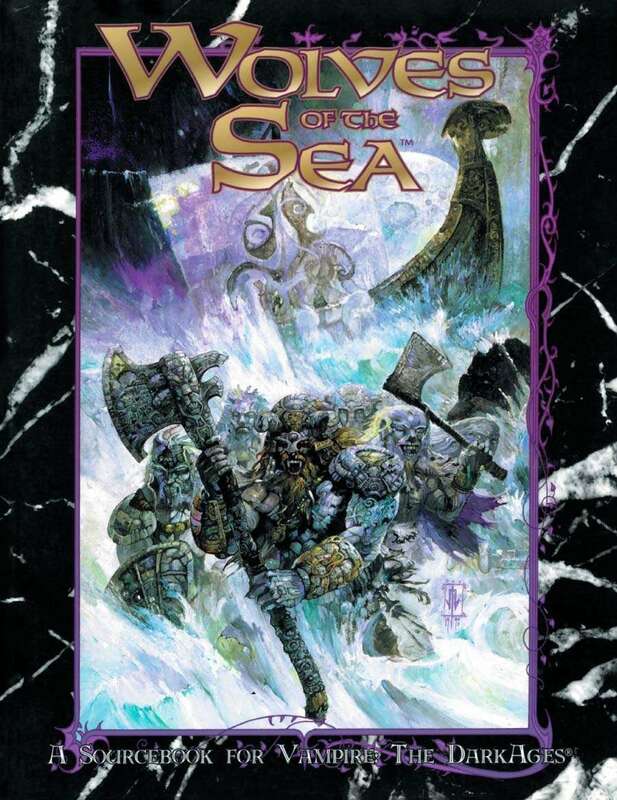 Wolves of the Sea is the complete sourcebook for Vikings in the Dark Medieval world. From the heyday of the Norse raiders to the years of centuries-old survivors plying a trade the world has left behind, this book covers everything you need to know to add Norse marauders to your chronicle. Even if the mortal Vikings have long since gone to dust, their immortal counterparts are still out there, hungry for vengeance and thirsting for blood. This title was added to our catalog on April 16, 2004.